EghtesadOnline: Tehran Stock Exchange’s main index lost 96.39 points or 0.1% on Monday to end trading at 95,529.6. About 774 million shares valued at $48.77 million changed hands at TSE for the day. Sina Chemical Industries Company was the biggest riser, going up 4.97% to 6,890 rials per share, according to Financial Tribune. SAIPA Group incurred the biggest loss among all TSE-listed companies, as it went down 6.44% to 756 rials per share. It was the biggest laggard behind the benchmark’s fall, followed by Persian Gulf Petrochemical Industries Company and Mobin Petrochemical Company. Isfahan Oil Refining Company gave the biggest boost to the benchmark index, followed by Bandar Abbas Oil Refining Company and Mines and Metals Development Investment Company. The Price Index lost 29.95 points to close at 29,689.7. The First Market Index was up 3.17 points to post 68,392.4. The Second Market Index shed 590.82 points to reach 200,578.2. The Industry Index gave up 87.21 points to register 85,700. The Free Float Index was down 158.49 points to end at 104,387.79. The TSE 30 lost 1.26 point to settle at 4,455.9 and the TSE 50 dropped 1.33 points to finish at 4,017.7. 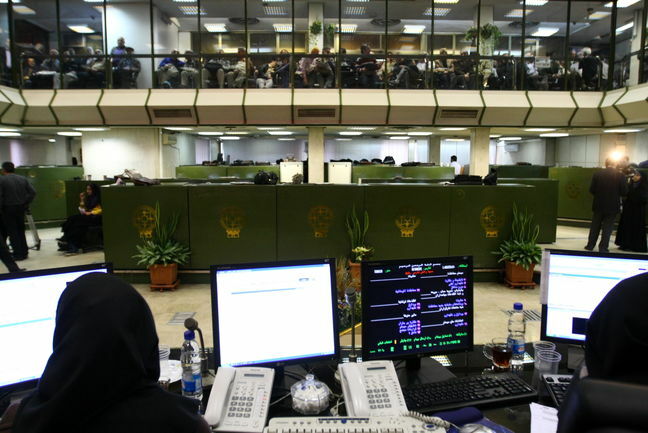 Iran Fara Bourse’s main index IFX lost 4.47 points or 0.04% to close Monday trade at 1,102.87. About 272.24 million securities valued at $39.46 million were traded at the over-the-counter exchange for the day. Esfahan Steel Company had the highest number of traded shares, as 49.62 million of its shares were traded. Zagros Petrochemical Company registered the highest trade value, with the trading of shares worth $1.12 million. MobinOne Kish Company, Caspian Tamin Pharmaceutical Company and Parsian Railway Transport Development Company registered the highest value increase. Parvardeh Tabas Coal Processing Company, Ballast Company and Afranet Company suffered the biggest decline. Zagros Petrochemical Company, Esfahan Steel Company and Arfa Steel Company had the most negative impact on IFX.